The latest Hero has been announced for Wrath of Heroes: Amenadresh the Steward. 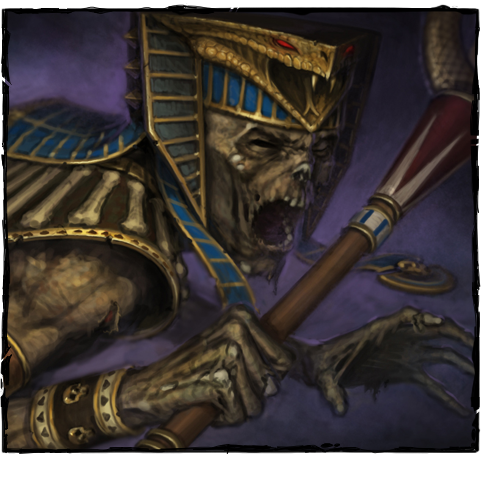 This handsome fellow is a Tomb King who specializes in Area damage and Area heal. It looks like his flight should arrive early next week. He probably had to check that sweet hat. Amenadresh was in earlier versions of the beta and I do believe his abilities have changed since then. I don't remember him having a heal before, but I could be wrong. This guys ability affects were awesome, so I hope they remain. He had this cool sandstorm, which could be a bit much sometimes but was nice. Check out his abilities here. Mythic also announced more hero price drops this week. These changes have made heroes quite obtainable, especially if you have a Gold boost in effect. They also put Mastery points up for sale. I do have an opinion on this move, but I am going to save that for another post.